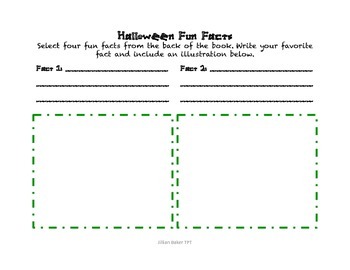 An easy way to hit the Common Core Standards and prepare for the Halloween season! 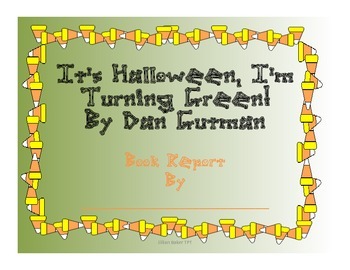 This book report is a perfect complement to Dan Gutman's It's Halloween, I'm Turning Green! It assesses CCCS RL.2.1, RL.2.2, RL.2.3, RL.2.5, RL2.6, RL3.1, RL.3.2, RL.3.3, RL.3.5, RL.3.6. My kids love reading Dan Gutman's books. There is nothing better than seeing them giggle at the reading table! 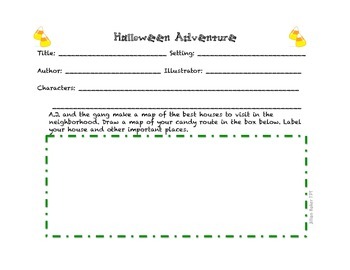 This book report is the perfect way to assess their comprehension while they have fun reading.